Fla sh Fiction is a literary form that takes a few basic elements (larger than life character, thought-provoking story line, quick conflict), and tells a story very quickly. Charles Dickens could probably take 14 pages to describe the wart on someone’s chin (because he was being paid by the word), but Flash Fiction tells a story in less than 1000 words, complete with interesting characters, compelling plot, established setting, etc. Writing a Flash Fiction story, gives you another great tool to have in your writer’s toolbelt! You will be surprised at how difficult it is to write Flash Fiction–but it will also feel very good–like stretching your muscles during a workout makes you feel healthy and fit. Sign up for the online writing classes, and be sure to take advantage of the special rate for students. and then we’ll write it, and revise it, talk about it, and share it! And you might be invited to publish your story! One winner will receive an eight-week membership to Write Now for this Flash Fiction session. You can have more entries by sharing, too! Tell your writing friends and share this on your Facebook pages! I shared this on Facebook. It sounds great. I have a hard time writing a complete storyline that short, so it would be a great opportunity for me to learn how. I shared on Facebook with my friends. 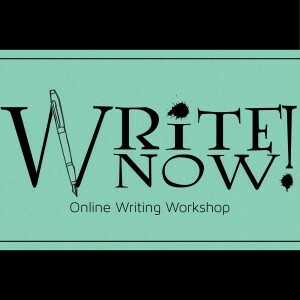 I loved the Write Now workshop I took before and it taught me so much. I’d love to go to another one!